From the following letter received with other records from Rotary International through Rtn. Tadashi Nukuto, Service to Clubs, Eastern Hemisphere Department, we gain an insight into the composition and activities of the Rotary Club at that time. Unfortunately, the name of the writer and the recipient of the letter are unknown other than by the initials given and the referenced annual dinner dance program was not attached. 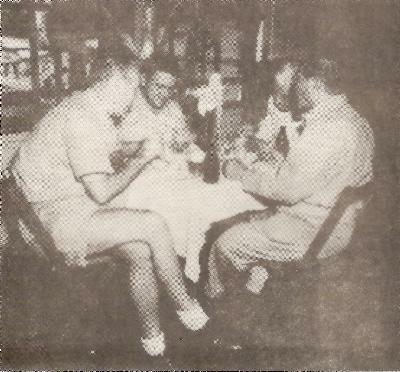 On the evening of Wednesday, 22 September, 1948, I spent a pleasant time with the officers and some of the committee members of the Rotary Club of Guam. On Thursday, 23 September, I attended and addressed the regular meeting of the rotary Club of Guam. I suspect I have never visited a club which had as complete a cross-section of community life represented in its membership as does the Rotary Club of Guam. The chief justice of the highest court is a member, the foreman of a road crew is a member, and most business and professional activities in between these two extremes are represented among the members. The monsignor of the Catholic church appears to be a keenly active member. From many sources, both within and without the membership of the club, I was given to understand repeatedly that the Rotary Club of Guam is the leading organization on the island. If anything needs to be done and its success is to be assured, all that is needed is to get the Rotary club behind it. Just a week or so before may visit, the club sponsored a two-day concert series by Manila Symphony Orchestra, proceed of which were contributed to the boy Scouts. This was the first time a symphony orchestra ever appeared in Guam. The club is active in local health matters, in supporting special school, etc. 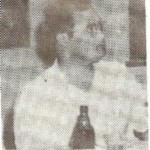 In fact, I suggested to Charlie Elliott, the president of the club, that I felt the story of their activities could make interesting reading and that I hoped that he would see to it that it was written up and sent in to “The Rotarian” for possible use as an article or a “Scratchpad Man” feature. The Rotary Club of Guam has never had a visit by a district governor since it has never been in a district. It has never had a real Rotary visit by any official of Rotary International. Actually I know very little about the organization and internal workings of the club, but from what I saw and from what I heard, I am sure that it is a good unit in the family of Rotary clubs. 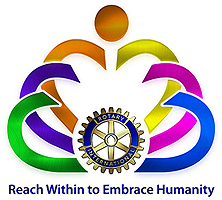 Nevertheless, steps should be taken at every opportunity to give it more direct contact with Rotary and Rotarians, especially since it is a non-districted club and one which is very much isolated. No opportunity should be passed by to have Rotarians stop at Guam whenever possible. The attached program of the club’s annual dinner-dance may be something of archival value in the club history files. Monsignor O.L. 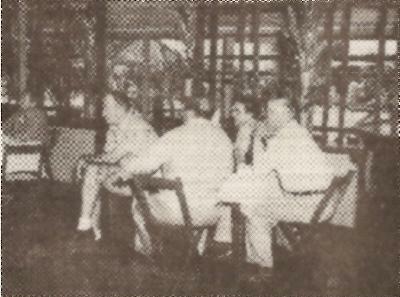 Calvo, Charles Elliot, Judge Jose Manibusan, Judge John C. Fischer, Simon Sanchez, Judge Vicente Reyes. 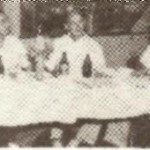 In August 1947, the club granted rail transportation between San Francisco and Eastern and Mid-Western colleges for seven college-bound Guamanians. These students who were helped by the Rotary Club included Jose Leon Guerrero, now Monsignor Guerrero and Segundo Aguon, former Comptroller for the Government of Guam.